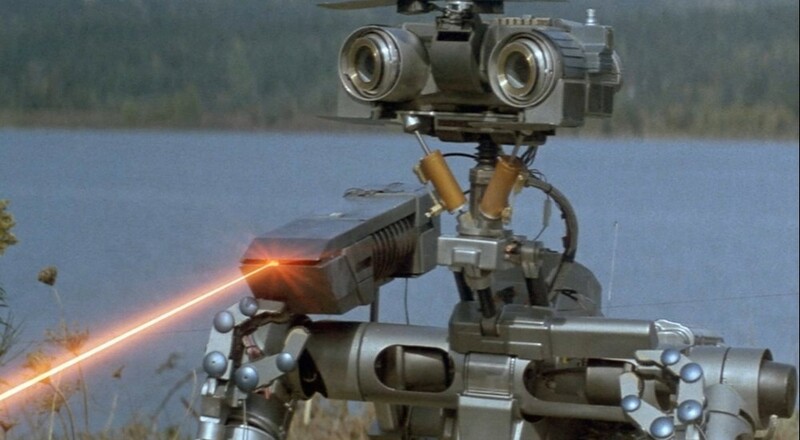 Prior to Saint's Row 3, "Short Circuit 2" was top dog for best use of "I Need a Hero"
Forget the usual opening text here, that song is in your head now, so just sing with me "doo doo doo DOOOOOOOOOOOO! doo doo doo DOOOOOOOOOOO!! AHHHH! AHHH!" Between Injustice 2 and Marvel Heroes Omega, superheroes are on the rise. Of course, there's still the every day heroes you'll find in the likes of Overwatch and the cybernetic ones in Deus Ex: Mankind Divided. Nick Puleo (@NickPuleo) - "I need a good FPS to play. I did start the latest Deus Ex, perhaps I'll dive back in." Jason Love (@JLove55) - "It's all about superheroes for me. Between Marvel Heroes Omega and Injustice 2, I'll be getting my fill of both the DC and Marvel universes." Mike Katsufrakis (@Pheriannath) - "I've been playing Marvel Heroes Omega quite a bit, so how about more? I'm also getting my FFXIV character ready for Stormblood next month." Marc Allie (@DjinniMan) - "I'm playing Thumper and wishing my copy of Disgaea 5 Complete would just come in the mail, already." John Bardinelli (@itsamejohn) - "Where have all the good men gone and where are all the gods? Where's the streetwise Hercules to fight the rising odds? Isn't there a white knight upon a fiery steed? Late at night I toss and I turn and I dream of what I need"
Locke Vincent (@LockeVincent) - "Traveling this weekend, taking a game break while I conjure up strategies for Endless Space 2." Sam Tyler (@thereelsamtyler) - "Zombie Army Trilogy for me and some more LEGO Star Wars The Force Awakens as I try and get some of the last Gold Bricks." Tally Callahan - "Some Overwatch between prepping for a big week next week." Enoch Starnes (@enochstarnes) - " "
Matthew Squaire (@mattaghetti) - "Injustice 2 and maybe more Prey!" What's everyone out there in co-op land up to this weekend?